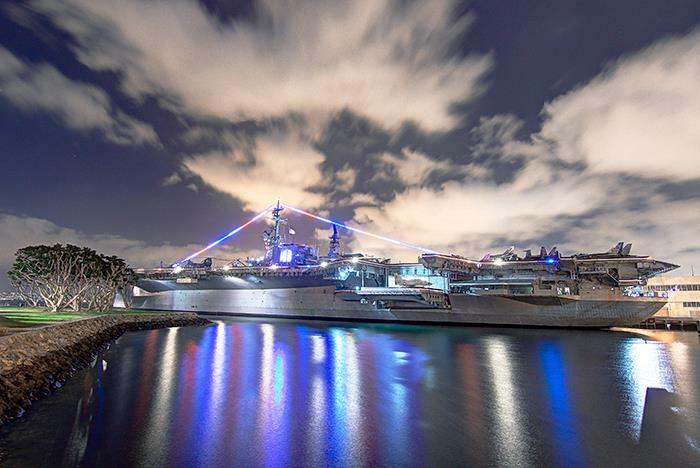 Discover San Diego from a whole new perspective on a night tour through San Diego’s Gaslamp Quarter, Balboa Park, Coronado Bridge, and other top destinations while the city lights guide the way. You’ll see the West Coast’s top landmarks, architecture, and skyline all lit up for unparalleled photo opportunities. Remember to charge your phone and camera. 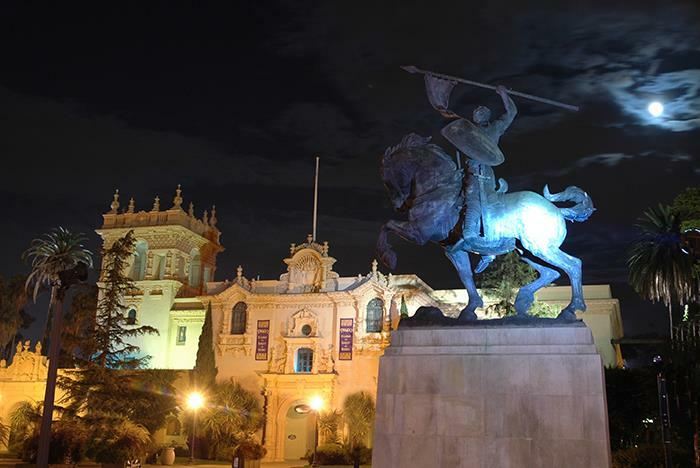 You don’t want to miss these city shots! Tours begin at 9:00 pm. 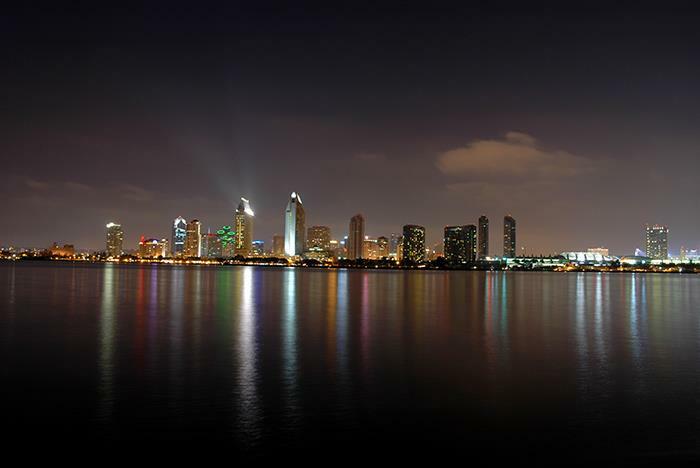 Includes destinations such as Balboa Park, Gaslamp Quarter, Coronado’s Ferry Landing, and more. Tour duration: approximately 1 hour and 30 minutes. Part of the tour involves walking, so dress appropriately. Bring a jacket as temperatures can be chilly. Your night tour journey starts off by exploring the West Coast’s premier entertainment district known as the Gaslamp Quarter. Famed for its vibrant nightlife, bright lights, and Victorian architecture, it will captivate your imagination of what makes this urban playground unforgettable. 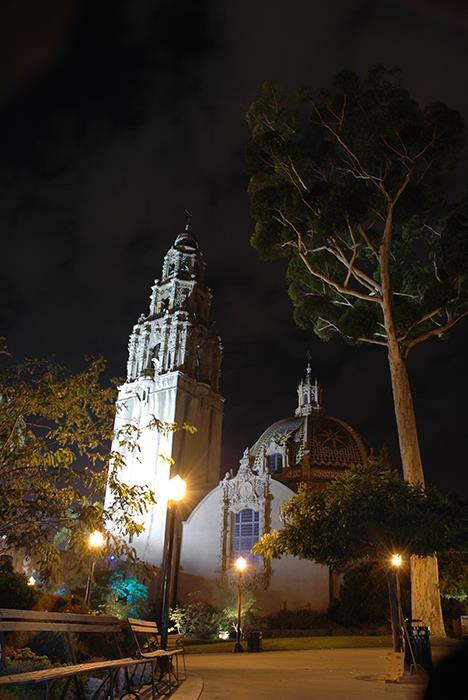 We’ll then make our way to Balboa Park, the largest urban cultural park in the US, where it’s transformed at night by stunning buildings, fountains, and statues glowing bright that are equally as remarkable in the evening as they are during the day. From Balboa Park we’ll drive to the top of Coronado Bridge for more spectacular sights, including the lights coming in from Tijuana, Mexico, the bay, and downtown San Diego. 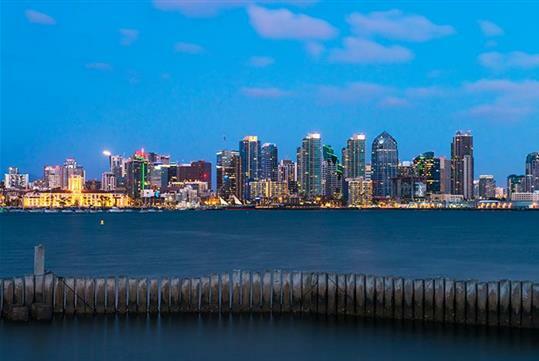 We’ll then travel to Coronado’s Ferry Landing for a 20-minute stop to take in the stunning beauty of the San Diego city skyline, visible from across the bay and a perfect photo op location. The tour is approximately 1 hour and 30 minutes long. Tours meet at 470 Kettner Blvd., Seaport Village, San Diego, CA. Yes. Paid parking is available in the lots nearby. As seating is arranged by check-in, you’ll want to check-in no later than 30 minutes before your scheduled tour departure. Wear weather-appropriate attire and comfortable walking shoes. The tour does include a bit of walking. In addition, temperatures can get cold, so bring a jacket and double check the weather forecast for the night of your tour. Bring your phone, extra cash, ID, and a charged camera. Can I bring food and drinks onto the trolley? Can my baby or toddler ride on my lap?